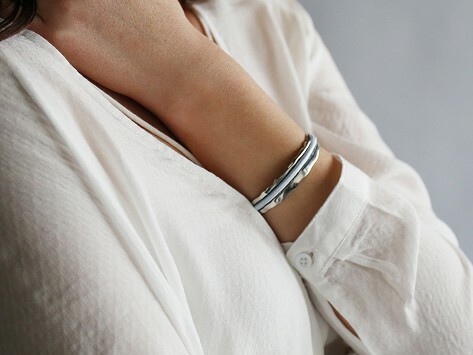 Carry a hair elastic on your wrist in a way that’s sophisticated AND keeps your wrist indent-free. 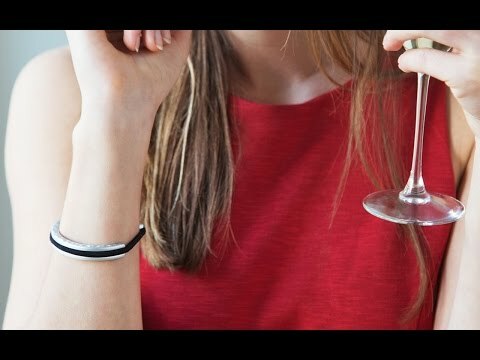 bittersweet's Sterling Silver Bracelets are made of 925 Sterling Silver. Slip the bracelet on, then slip your elastic over, and secure it in the groove. You’ll be ready to toss your hair back at a moment’s notice, but with a simple design that will blend into or enhance just about any outfit. I ordered one of these Hair Tie Braclets for a gift and was very happy with the workmanship. I liked it so much, I ordered another for a gift, and I'm now on a waiting list to buy myself one. It's perfect and ideal for me. I ride a motorcycle so when I remove my band it no longer effects my carpal tunnel. So much classier looking!! I bought the sterling silver. It’s made well. Doesn’t look cheap. Very nice.